You don't have to wait until January 9 at 9 p.m. to return to the dark secrets, budding romances, and dramatic turns that make Downton Abbey so exciting to watch. 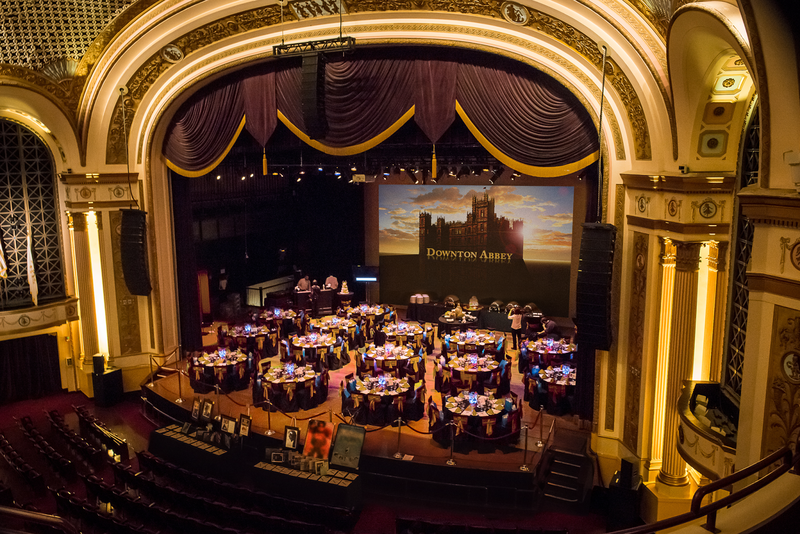 Join us for a preview on Saturday, December 6 as we host the Downton Abbey On-Stage Dinner Party and Preview Screening, held at the opulent Veterans Memorial Auditorium in Providence. Come dressed in your best 1920s costumes - period attire is optional but encouraged, whether you attend the dinner party or just the screening. The Preview Screening begins at 8:30 p.m. and is free and open to the public. Tickets to the free screening are at the locations listed below. Only 300 raffle tickets will be sold, and all guests - dinner party and free screening guests - are eligible to purchase a ticket. Limit two tickets per person. A Legacy of Philanthropy - Giving Thanks and Recognition to Taco, Inc. Among philanthropic organizations that provide generous support to education and the arts, one name that stands out prominently is the Taco / White Family Foundation, headed by John Hazen White, Jr.
Family-owned and operated for three generations, Taco, Inc. stands out as a company which not only values its employees and inspires leadership, but has mindfully woven the principles of volunteerism and philanthropy into the company culture. In any given year, the Taco / White Family Foundation donates more than $900,000 and volunteers countless hours to more than 300 Rhode Island non-profits. John Hazen White, Jr. follows in the footsteps of his parents, John and Happy White, who believed Taco as a company is not separate from its people. They believed in investing in the people that work at Taco, and in the community in which they lived. They established the John and Happy White Foundation to benefit worthy community-based organizations operating in Rhode Island for the benefit of Rhode Islanders. As a result of their generosity, John and Happy White were honored by the Association of Fundraising Professionals with the Outstanding Philanthropic Citizen Award in 1998. Today, Taco and its CEO John Hazen White Jr. continue tradition of giving through the renamed Taco / White Family Foundation, and are honored by the same organization that honored his parents decades ago. Unlike other foundations whose funding may come from an endowment, bequests, inheritance, or external donations, the Taco / White Family Foundation derives its funding from the Taco company profits, generated by the productivity of the company’s workers. In this way, each and every employee contributes to the growth and prosperity of the Foundation, and influences the success and impact on various community non-profit organizations. Under Taco’s Employee Volunteer Charitable Grant Program, employees are invited to seek grant funding for non-profit organizations in which they or a family member are actively involved. To qualify, employees must volunteer 50 or more hours a year with the organization for which they are requesting a grant. The Foundation makes regular awards of up to $1,000 for individuals and $2,000 for a team of employees throughout the year based on employee requests. Taco focuses its support on programs and projects designed to advance organizations' missions and objectives. The areas of focus include Music and Arts, Healthcare, Education, Community Service, and the Environment. Most remarkably, Taco distinguishes itself from other funders by providing crucial seed money to non-profits for projects that might not otherwise qualify for funding from other foundations or grant agencies. Demonstrating the scope of the White entrepreneurial and intrepid vision, the Taco / White Family Foundation recognizes the value of smaller, somewhat unconventional projects and the needs these projects fulfill for the requesting organizations. These investments by Taco make an enormous positive impact on the recipients, and, in some cases, grants by Taco are leveraged for additional sums from other funding providers, amplifying the financial benefit. Rhode Island PBS has gratefully benefited from Taco’s philanthropy over the years. Most recently, a grant from the Foundation enabled us to completely renovate the studio set of A Lively Experiment, achieving a more contemporary, attractive ambiance that reflects the diversity of Rhode Island landscapes and lifestyles, an ideal setting for the weekly discussions around the table of this weekly political affairs production. In addition, we were able to upgrade important equipment, which now allows A Lively Experiment and other in-house studio productions to be recorded in high definition. These upgrades have been instrumental in our ability to broadcast quality local content, and enhancing our role as a learning resource to Rhode Islanders. Taco impacts more than 300 community non-profits each year, including the Providence Performing Arts Center, Progresso Latino, the Rhode Island Free Clinic, and the Butler Hospital Center for Advanced Diagnostics & Therapeutics in Alzheimer’s Disease. John Hazen White Jr. learned the virtue of philanthropy early on from his parents. He honors their legacy by cultivating philanthropy in his children, who are also leaders at Taco, and who continue Taco’s strong tradition of giving. Creating a generational legacy of philanthropy takes commitment, dedication, and hard work, the fruits of which we see in the good works being performed by many well-known - and countless lesser-known - non-profit organizations in Rhode Island. 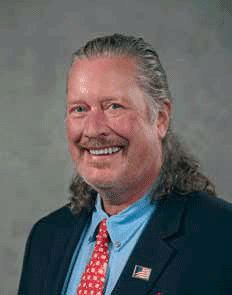 In recognition of his vision, courage, service, and benevolence, it was our privilege to nominate Taco and CEO John Hazen White Jr. to be the recipient of the 2014 Outstanding Philanthropic Corporation award from the Association of Fundraising Professionals Rhode Island Chapter. We were thrilled to learn Taco won the award, presented during a breakfast ceremony with more than 400 guests in attendance. The local legends, historical happenings, and backyard secrets of Glocester, Rhode Island, are the focus of Our Town, a new Rhode Island PBS community project. Earlier this autumn, neighbors in Glocester became storytellers and filmmakers to capture the stories they wanted to tell in Our Town: Glocester. These stories have been woven together into a visual tapestry of nostalgia, humor, enterprise, history, even a surprise or two, all of which represents life in Glocester. 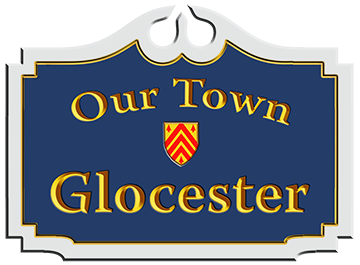 Rhode Island PBS proudly premieres the documentary Our Town: Glocester on Wednesday, December 3 at 7:30 p.m. Glocester residents and friends involved in the production will be in the studio to chat about their project experiences. Volunteers will also answer phones during this fund raising special to benefit Rhode Island PBS. Among the stories that will appear in the film is a segment about family-owned Mulberry Vineyards. In “From Grape to Glass,” David and Melissa Wright demonstrate how wine grapes are grown, harvested, pressed, and bottled in their weekend-hobby-turned-business in Chepachet. Another segment features The Purple Cat restaurant. Established long before the Boston pub “where everybody knows your name,” The Purple Cat was the place to go where patrons would invariably run into friends and neighbors. Rose Lavoie – the heart and soul of the former local landmark – shares her memories about those who frequented “The Cat” over the years. Rose also describes the work ethic gleaned by her children in the family-owned business, and how extended family worked as wait staff. Town historian Edna Kent paints a vivid picture of the Chepachet of yesteryear, including how fires ravaged a good portion of Chepachet and how the townsfolk rebounded. And what would a visit to Glocester be without stopping by Tavern on Main? Tom D’Agostino recounts the legends of the haunting of this historic restaurant. Waiters and patrons also describe their “spirited” encounters with flying objects and bizarre behavior. “The film does a great job showcasing Glocester’s charm and natural beauty, too. We’re looking forward to sharing the stories of Our Town: Glocester with all of Rhode Island on December third,” agreed Jodi Mesolella, Our Town project director. Part fund-raiser, part community builder, part historical and cultural documentary, and part “day-in-the-life” video scrapbook, Our Town: Glocester is the first documentary in the Our Town series. Our Town shares with viewers the charm and character of Rhode Island's towns and villages. Those untold or uncelebrated stories, captured by resident storytellers and videographers, share the essence of elected towns.